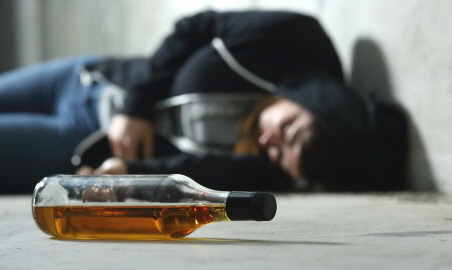 Alcohol poisoning is a serious and sometimes fatal result of drinking large amounts of alcohol. Phone 111 and ask for an ambulance if you think someone has alcohol poisoning. If they have stopped breathing, start CPR. How do I know if someone has alcohol poisoning? be breathing slowly, deeply, and noisily. Phone 111 for an ambulance. Don't let them drink any more alcohol. If they pass out, lie them on their side in the recovery position. Keep an eye on their breathing. If they stop breathing, start CPR.